I hope you are having fun, but who wouldn't with all those booths, lol. 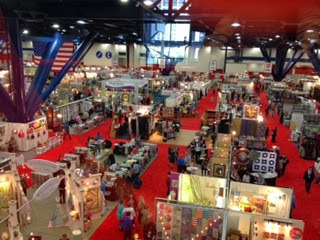 I recognized Houston quilt show/market at first glance of the pic. I know you have to be having a marvelous time there!